What is disruptive? Disruptive is defined as relating to or noting a new product, service, or idea that radically changes an industry or business strategy, especially by creating a new market and disrupting an existing one. When I contacted Rishi Singh, MD at Cleveland Clinic’s Cole Eye Institute and asked him the one word that describes ALCON’s new NGENUITY™, his first remark was its a “disrupter”. He continued by saying, “NGENUITY will change how we do our surgery.” Some other examples of vitreoretinal surgery “disrupters” include the small gauge surgery evolution, 23, 25 and 27-gauge, and an even more recent example is Intraoperative OCT.
Dr. Singh evaluated NGENUITY in May and there are always so many questions and curiosities about new technology so here are the highlights of our conversation. RetinaLink (RL): What’s the realistic number of cases to master the learning curve? Rishi Singh, MD (RS): There may be some nuances to work though as you would with any new technology. In my opinion, 10 cases is a reasonable number to feel comfortable watching the screen vs. viewing the retinal surface with traditional oculars. RL: What surprised you most? RL: Image quality was a question the Coolest Video panel posed at AAO 2014. Did you experience a comprised image? RS: I didn’t experience any quality issues. No signal drop occurred during my surgery day and my only issue was calibrating and white balancing the machine (as you have to for any camera system) to get the optimum picture. The large one screen provided a very sharp clean picture. RL: Can you manipulate the camera with your Constellation Vision System foot switch to electronically brighten the image? RS: The CONSTELLATION® Vision System foot switch is currently not programmed to control the camera. RL: You train retina Fellows at Cleveland Clinic’s Cole Eye Institute. What advice would you provide as an Attending the first time your Fellow(s) used NGENUITY in the Operating Room? RS: The depth of field is critical when training and while you are hyperfocused on one part of the retina, its really critically important to keep track of what else is going on with the patient. A great example is when you are peeling traction in a diabetic case, you want to watch the peripheral insertions to make sure that you aren’t stretching the retina to create a break. In the NGENUITY system, the entire depth of field was visible at any given time. RL: Did you find this ergonomically easier to use? Less neck fatigue? Are the 3D glasses cumbersome? RS: It is well known that dentists, as a professional, have the most back issues and Ophthalmologists are second with medical claims for back issues. Ophthalmologists get this doubly from the clinic hunching over the slit lamp and then in the operating room; thus, having systems like NGENUITY can reduce fatigue. RL: Stereopsis? What are your comments? RS: Stereopsis is always a topic of discussion with this technology. There were no issues for me. RL: Do you believe NGENUITY can be integrated into the Anterior Segment for cataract surgery? RS: NGENUITY definitely is a game changer and “disrupter” for retina. On the day we operated, my cataract surgeon colleague operated through the NGENUITY system. He was very impressed. I believe my cataract and glaucoma colleagues will be very pleased with it as well. 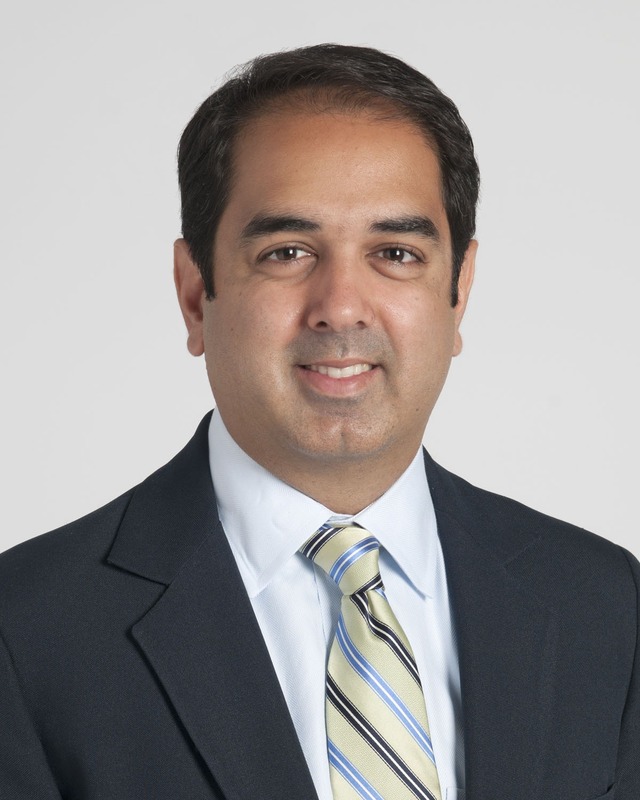 Dr. Singh’s current work focuses on the electronic medical records implementation, lean process improvement, and decision support modules for clinical practice. He operates the Cleveland Clinic Electronic Health Record Consulting program. He has been honored with several research recognitions such as the Alpha Omega Alpha Research Award and the American Society of Retina Specialists Senior Honor Award.